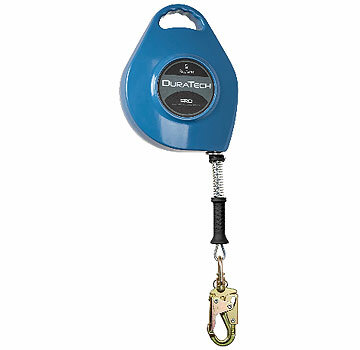 PRODUCT: FALLTECH #7268 50' x 3/16" GALVANIZED CABLE RETRACTABLE LANYARD LIFELINE. 60 ft. X 3/16 in. SRL with Durable Aluminum Housing, Galvanized Cable, Load-Indicating Swivel Carabiners. Inertial dual disk brake system is efficient and arrest falls quickly and effectively. Price/Each.